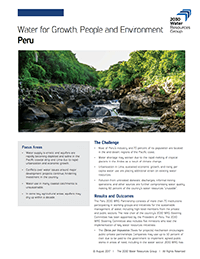 The National Water Authority, the 2030 Water Resources Group and the Global Green Growth Institute (GGGI) jointly developed a publication that can serve as a reference when addressing issues related to sustainable water management planning in Peru. 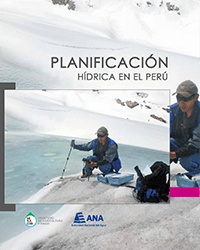 After some months working together La Planificación Hídrica en el Perú (Water Planning in Peru) was published, which is a guiding tool to facilitate work of the three levels of government in the execution of water projects needed in their areas of intervention. This document is particularly relevant because it also serves as an action road map and it is especially useful as a decision making tool in terms of managing public policy and impact regarding water. 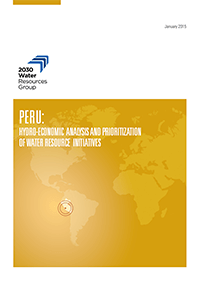 The “Hydro-Economical Analysis and Prioritization of Water Resource Initiatives in Peru” describes the processes and outcomes of a review of water resource development interventions, the application of a hydro-economic tool, and a review of political, social and environmental impacts. The report identifies a list of prioritized investments in each of six coastal basins, and the three catchments close to the capital Lima. 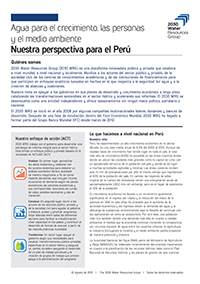 The analysis aggregates various datasets and delivers key messages to Peruvian private sector companies, the public sector and civil society organizations. The analysis provides key information for each sector to take an active role in projects that improve water resources management in Peru and help close any potential gap between projected water demand and sustainable supply for Peru.